For the third year in a row, McCann Global Health was invited by USAID to participate in the annual Saving Lives at Birth (SL@B) DevelopmentXChange event held in Washington DC on July 25th-27th. Each year at SL@B, mentors sit with numerous start-ups and entrepreneurs in the maternal and newborn child health space over the course of one day to provide counsel, insight, and guidance around communications, branding and marketing strategy. McCann Global Health is proud to have provided mentorship for another consecutive year. Noncommunicable diseases (NCDs) have reached a point of crisis, particularly in lower and middle-income countries, where nearly 80 percent of NCD related deaths occur. Access Accelerated is a global, multi-stakeholder initiative comprising 20+ biopharmaceutical companies and associations launched at the January 2017 World Economic Forum in Davos to advance access to non-communicable disease prevention and care in low and lower-middle income countries. The World Economic Forum took place this week in Davos, Switzerland, where a collection of CEOs from the leading biopharmaceutical companies, the World Bank and the Union for International Cancer Control (UICC) announced a global initiative to address the rise of Non-Communicable Diseases (NCD) in low and lower-middle income countries. 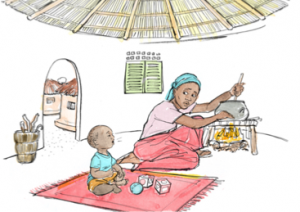 McCann Global Health has been selected by the Global Alliance for Clean Cookstoves to lead a major behavior change communication intervention in two Nigerian states with the aim to promote LPG-based clean cookstoves for safer and healthier cooking. This works kick off in partnership with STB McCann in Nigeria and Africare, a global nongovernmental organization. McCann Global Health President Andrew Schirmer joined the D&AD Impact Sustainability & Responsibility Roundtable at Nasdaq on July 12 for a conversation on the trends in corporate sustainability, the role of creativity in sustainability projects, and how the marketing, media and communications industry is stepping up. In addition to McCann Global Health, the panel included representatives from Nasdaq, D&AD and Drogra5. McCann Global Health and the United Nations Foundation hosted an inspiring session this past weekend at the Lions Health in Cannes, France, with the United Nations Foundation’s chief communications officer Aaron Sherinian leading a discussion on the challenge of eradicating polio from the face of the earth with UNICEF’s Sherine Guirguis and Dr. Mickey Chopra of the World Bank. Imagine explaining to a concerned mother of a sick child how to check for signs of the leading infectious threat to their child: pneumonia. Fever, chills, dehydration, fatigue. Sounds like the flu. What about chest in-drawing, shallow breaths, and shortness of breath? Getting warmer, but that also could be signs of a cough and cold. for emergency care before it is too late, like in the case of child pneumonia. Ending Polio? There’s An Ad For That. How can marketers make true change in the world? By being a part of the strategy to wipe out a disease from the planet for only the second time in history. 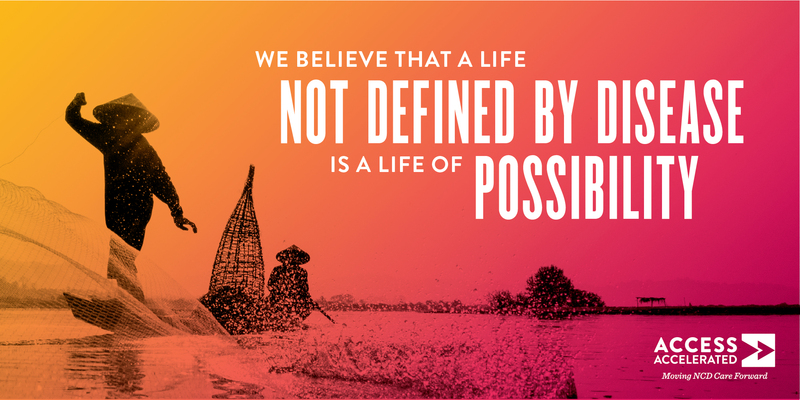 UNICEF and its partners at McCann Global Health have been working on just that over the past two years. 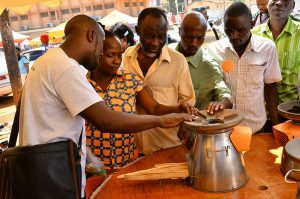 With polio eliminated from over 99 percent of the world’s population, the global health community is on the verge of eradicating an illness that for decades has threatened populations, from the height of polio outbreaks in the 1940s and 50s, to recent cases in resource-limited countries. Wiping out the final one percent, however, necessitates a vastly different strategy, and one that incorporates a critical focus on communications and social mobilization. 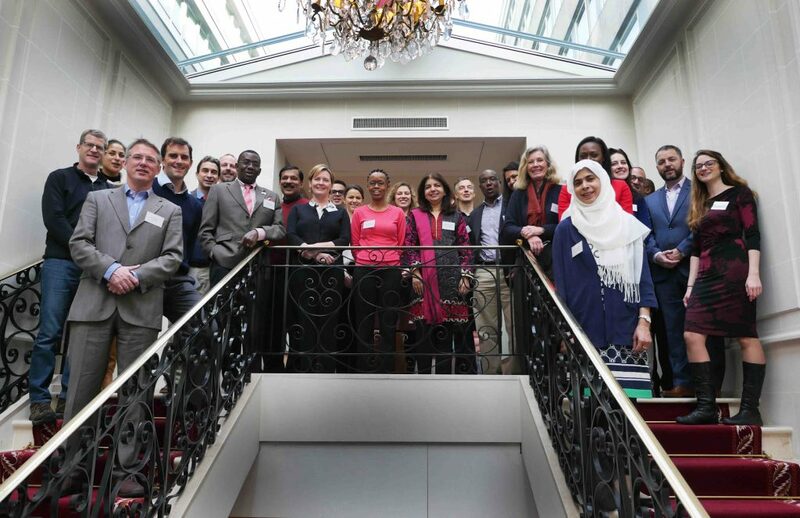 What do you do when two of the biggest NGOs on earth invite you to Geneva to contribute to a three-day workshop about Building Demand for Routine Immunization? You go. Senior leaders from the World Health Organization (WHO), the Bill and Melinda Gates Foundation, the Clinton Health Access Initiative (CHAI), GlaxoSmithKline (GSK), and representatives from nongovernmental organizations and governments from Kenya, Uganda, Senegal, and Pakistan, were invited by Gavi, the Vaccine Alliance to brainstorm solutions to improve routine immunization awareness, acceptance, and compliance among health workers and caregivers around the world. 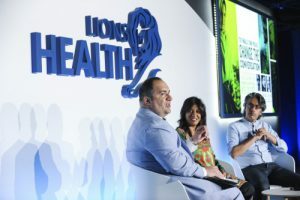 Sherine Guirguis, senior communications manager for polio at UNICEF, and Andrew Schirmer, president of McCann Glboal Health, presented McCann and UNICEF’s partnership in demand creation for the polio vaccine in Polio endemic and at-risk communities. Their efforts have led to a new approach to global health communications challenges, evidenced by their insight-driven, global-to-local communications strategy, campaign materials, and lessons learned from the collaboration. Ms. Guirguis and Mr. Schirmer also discussed the role of public private partnerships and how their partnership has affected the quality of outputs, talent, and engagement from both sides of the spectrum. 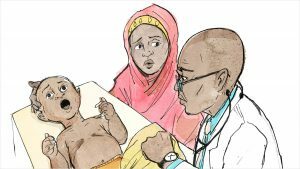 Up to 935,000 children are dying from pneumonia each year when most of these deaths can be prevented by educating frontline health workers. NEW YORK — Today, in observance of, World Pneumonia Day, a new pneumonia prevention communications campaign called, Every Second Counts, will be launched at the Pneumonia Innovations Summit in New York City. The campaign, created by McCann Global Health in partnership with Clinton Health Access Initiative, Unicef, USAID, and Abt Associates—all members of the UN Commission on Life-Saving Commodities for Women and Children – was designed to help educate and arm caregivers and frontline health workers in developing countries with the knowledge and skills to save children’s lives.